It's an extremely rare thing to see beautiful fountains in the middle of a major thoroughfare, but we have them! 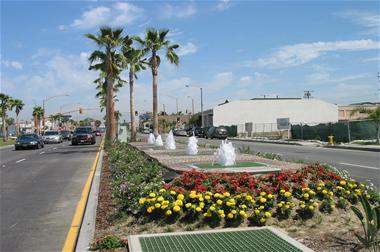 Sticking with its name, Artesia is famous for focusing on a water-based theme throughout the city. The fountains along Pioneer Blvd. have won an architectural and engineering award for their ingenuity and aesthetic appeal.